One way to eliminate artificial fertilizers, herbicides and pesticides is to let ducks paddle in rice fields and waddle in vineyards. In what is now called integrated duck farming, specially raised ducks are put into rice paddies and fields to weed the areas and eat insects. At the same time, their manure becomes organic plant food. Farming with ducks is actually an ancient practice. The Chinese have put these waterbirds in rice fields for centuries, at least as far back as 600 years ago. The ducks do not harm the rice, even though they eat the weeds and their seeds, and eliminate pests. The entire process reduces the need for chemical fertilizers, herbicides and pesticides. What’s more, the ducks stir the water during their activity, which makes it more difficult for weeds to grow due to reduced photosynthesis when the water becomes cloudy. Their activities also enhance rice root, stalk and leaf development, increasing the plant’s growth. 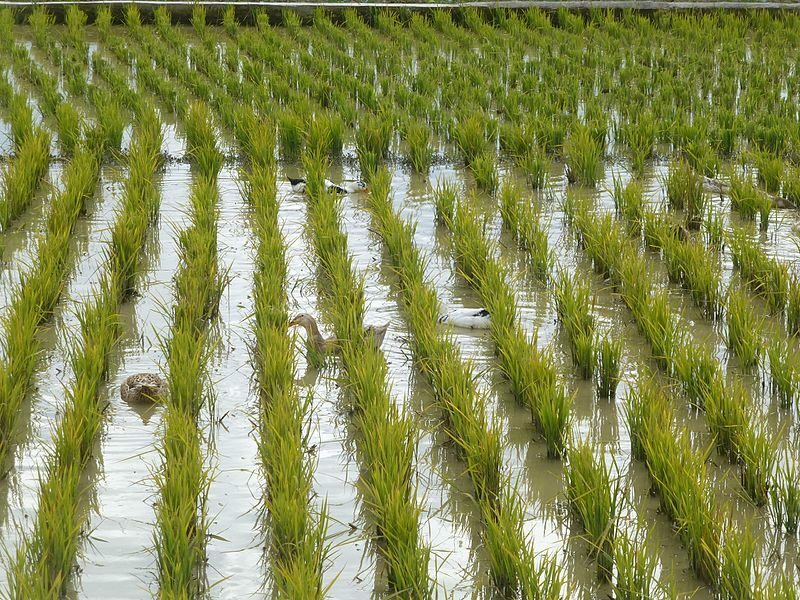 Although the ducks must be removed from the paddies at harvest time as they will eat the mature rice crop, this restored method of farming remains attractive since the birds yield free-range eggs and, in the end, lean meat. Today, the practice has been revived in China, Japan, Iran and France, and is catching on elsewhere. Also catching on is using ducks in vineyards. 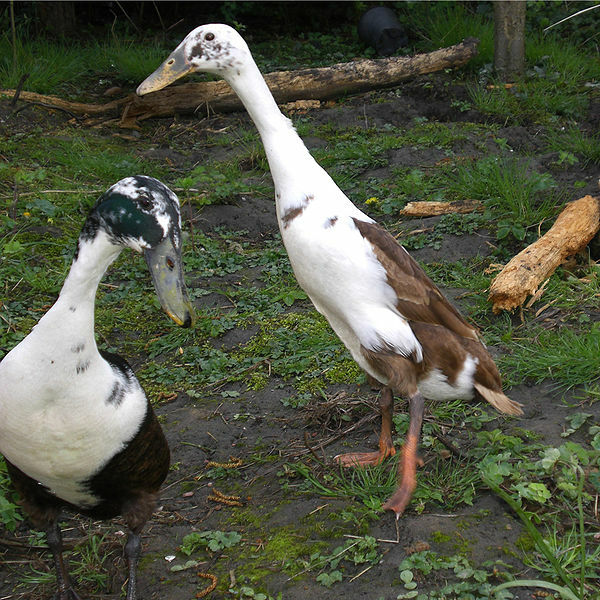 According to National Geographic, Vergenoegd Wine Estate in Stellenbosch, South Africa is using Indian Runner ducks to get rid of snails and other pests and to fertilize the vines. More than 1,000 types of pesticide are used worldwide. They end up in our air, food, soil and water, with mounting evidence that they harm the environment and may be responsible for health issues in humans, including headaches and nausea as well as cancer and reproductive health problems. Bringing back former farming methods is one good way to reduce their use.